Ethnic Groups: 38 ethnic groups, among which Kwangwa, Mafwe, Matotela, Mambukushu, Masubiya, Imilangu, Matoka-leya, Makwamashi, Mambunda, Makwamakoma (Bamakoma), Mbowe (Mambowe), Mishulundu, Muenyi (Mwenyi), Mahumbe, Makwamulonga, Ndundulu, Manyengo, Mashanjo, Mankoya, and Simaa. 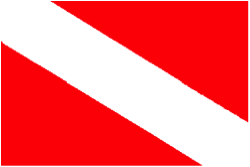 Barotseland was admitted to the UNPO as a member on 23 November 2013. Barotseland is the traditional land of the Barotse and comprises the upper Zambezi Valley, in Southern Central Africa. 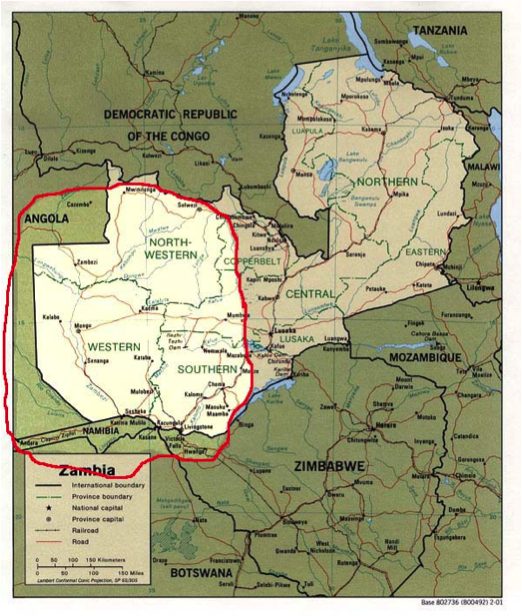 Nowadays, the Barotse territory falls largely within the borders of Zambia and coincides with the delimitations of the Western Province of Zambia. Mongu is the administrative and commercial capital of Barotseland, while the traditional winter and summer capitals are Lealui and Limulunga. These are the homes of His Majesty the Litunga. The Barotse are traditionally a diverse people. The Barotse nation was born when Ayuli migrants from the Congo settled along the Zambezi River in the 15th century. They were joined by migrants from South Africa, Angola, Zimbabwe, and Namibia. As many as 38 ethnic groups can be found in the region, in a state of cohabitation (for an overview of these groups, please see above). Each ethnic group has its own dialect or language; however Silozi – a hybrid language, influenced by the many ethnic languages of Barotseland (the main influences being the Luyana and Kololo languages) – serves as lingua franca. It is spoken by approximately 722,600 people and is taught in primary and secondary schools. English is also spoken by a portion of the Barotse population and used mainly for official purposes. The upper Zambezi Valley is a floodplain, providing the Barotse with fertile land. Naturally, their livelihoods are mostly reliant on wetland resources. Barotseland’s economy is based on combined crop farming, livestock keeping, fishing and natural resource exploitation. The Barotse also benefit from the floodplains being somewhat of a tourist attraction. Natural resources include oil, gas, diamonds, rubies, emeralds, gold, copper, iron, quartz, limestone, cobalt, uranium, diatomite, silica sand, and salt. The people of Barotseland reject the position taken by the Government of Zambia to continue exercising authority over Barotseland, as this amounts to the annexation of the territory of Barotseland. The people of Barotseland consider current Zambian control over the territory to be in violation of the 1964 Barotseland Agreement, which transferred all the obligations and rights regarding Barotseland to the Government of Zambia, under the clear provision that Barotseland were to remain autonomous. However, instead of becoming an autonomous region, Barotseland found itself dispossessed of the status of an autonomous region and incorporated into Zambia as an ordinary province. For the past decades the Barotse Royal Establishment (BRE) has advocated, negotiated and sought external support writing letters and petitions to the African Union, the South African Development Community and the United Nations. In response they have been arrested, killed, detained without trial and persecuted by the Zambian government. On 26 and 27 March 2012, the Barotse National Council resolved that Zambia and Barotseland should go separate ways as independent sovereign States. The Barotse Government is putting in place measures to secure the reconstitution of Barotseland as a Nation State separate from the Republic of Zambia. Barotseland, represented by the Barotse National Freedom Alliance, was admitted to UNPO on 23 November 2013. Up until 1964, Barotseland was a fully-fledged national State with a rich cultural heritage derived from centuries of existence and traditions. However, it was incorporated into Zambia as a violation of the 1964 Barotseland Agreement. Barotse nationals do not consider themselves Zambians and wish to enforce their right to self-determination and self-governance. In 2011, Barotse people were shot and killed in Mongu when police broke up a meeting of activists calling for secession. Protests for the restoration of the 1964 Barotseland Agreement have been met by the Zambian Government with repressive measures. Hundreds of Barotse activists have been arrested and imprisoned based on charges of treason. This goes against the principles of human rights and freedom of expression. For more information regarding politics in Zambia and the impact of the abrogation of the 1964 Barotseland Treaty on the current situation of the country, please click here. Please download our Barotseland Member Profile Brochure.